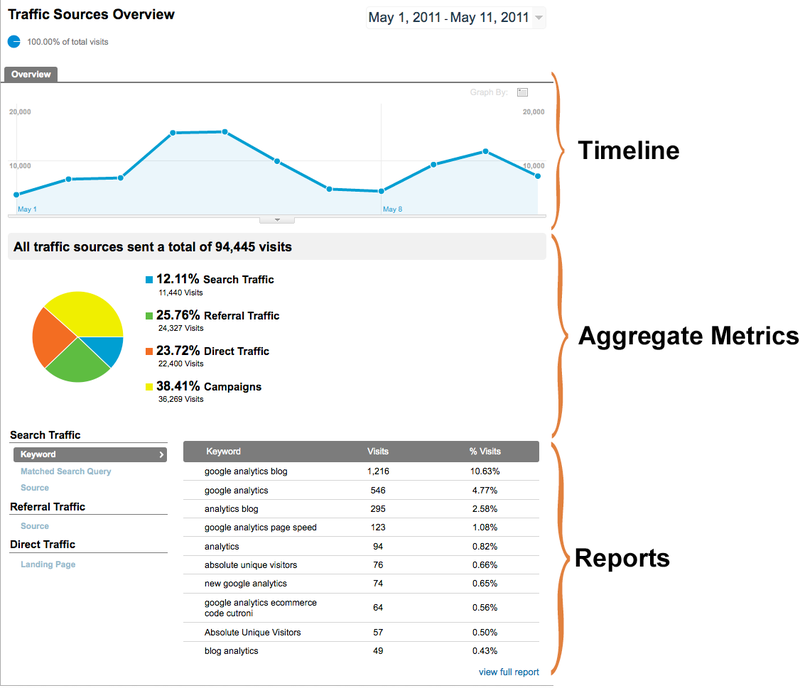 This will guide you on how to use Google Analytics even if you have just started out. Google Analytics as the name implies is a tool (one of the best) that allows you to measure your website traffic (this which greatly influences your ability to be found on the web through search engines - you can use Alexa to find out just where you are roughly), giving you valuable information for you to make informed decisions. With just a little bit of setup and effort, this tool will give you a war chest worth of information, on who is visiting, what they are looking at or what they are looking for. With that information I am sure that you would be able to take it from there, and with a bit of time practicing with Google Analytics I am sure you would be able to use it like a pro! This page was designed to ease you into the application and teach you how to use almost all aspects of Google Analytics. In future there will be more in-depth tutorials that will show you what other things can Google Analytics do to empower you. Google Analytics Interface (Video Tutorial). What better way to show you the route than to have a 'personal' tour from Google themselves. This Google Analytics Interface Introduction Video shows you the different reporting sections on the Google Analytics dashboard. Now that everything has been formally introduced, let's get down to business and fix up everything!! Before you start anything the most important step in order for you to use Google Analytics, you will need to (obviously) set up an account with them. This will provide you with a unique code/identifier/number to add to your website. *important note: you can only access information about your own website. You will not be allowed access to other people's information, unless given special permission, and likewise for other people who want access to your information. Permissions can be granted to those that you give special permission to. Other than that if that step was not taken into account the only person that can access your website statistics will be none other than yourself. Go to the Google Analytics website - here. In the next window, provide Google Analytics with the URL of the website you wish to analyze. Give the website an account name that is easy to remember (This is important if you have multiple websites). Select a country your website is based in. In the next window provide your contact information. In the next window, read the Google Analytics terms of service, and if you agree with them click the Yes Box. Google Analytics should now provide you with code. This is needed for Google Analytics to track your website, you will need to copy this and insert it into your website according to the instructions given. 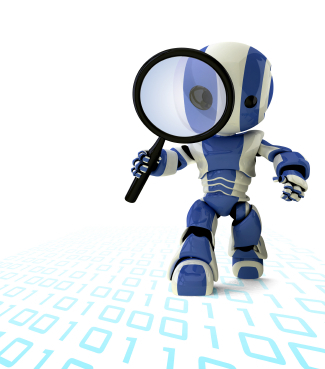 Inserting Google Analytics Code - this works for most websites. To insert the Google Analytics code, you need to get into the HTML of your website. If you are using Wordpress, you will need to open the footer.php file to insert the Google Analytics code. Find the </body> tag at the very bottom just above the </html> page. Do you see the code urchinTracker(), utmLinker(), utmSetTrans(), or utmLinkPost() above the </body> tag? If you see either paste the Google Analytics code above those codes, if not just paste it immediately above the </body> tag. Step 3: See an Overview of Your Website's Performance. In the center of the page is a section titled Website Profiles. Click on the View Reports link to the right of the name of the site you are interested in. This will bring you to the Dashboard. At the top of the page there should be a default chart that gives you a visual representation of your website's traffic over the past month. 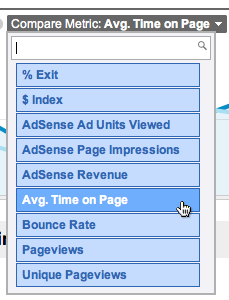 Immediately beneath that chart you will see a header that says Site Usage, with six small charts underneath. You will be able to find quick information on various site traffic statistics for the time period shown in the main chart. If you want to find out when exactly your website has its peaks (at what time or what day) Google Analytics can tell you. In the menu to the left, click on the word Visitors. To the left beneath the main chart you will see a number of different statistical data. Click on any of the words to get a bar-chart breakout of the daily performance for that aspect of site traffic measurement. Click the word Hourly button to see an hour by hour graph. To compare two different time periods, click on the dates above the line graph. Select the first set of dates you want to work with, check the Compare to Past box, then click on the second set of dates, and click the Apply Range button. Although Google Analytics, does involve a few technical steps that may be hard to learn at first, but using Google Analytics is something that gets much easier as time goes by and as you get a better feel for the service. Looking for a stable and experienced company to publish your website on the Internet? Having already completed designing your website, then the next important thing is to publish your website on the Internet. EVERWORKS hosts your websites, emails, and databases easily and reliably. EVERWORKS provides low cost, high availability, and high performance hosting packages. Click here to find out more! If I have missed out anything, or you have experiences on Google Analytics that you would love to share, please feel free to add your input in the comments section below!